Happy 2019! Clee is kicking off the New Year with a brand new issue. 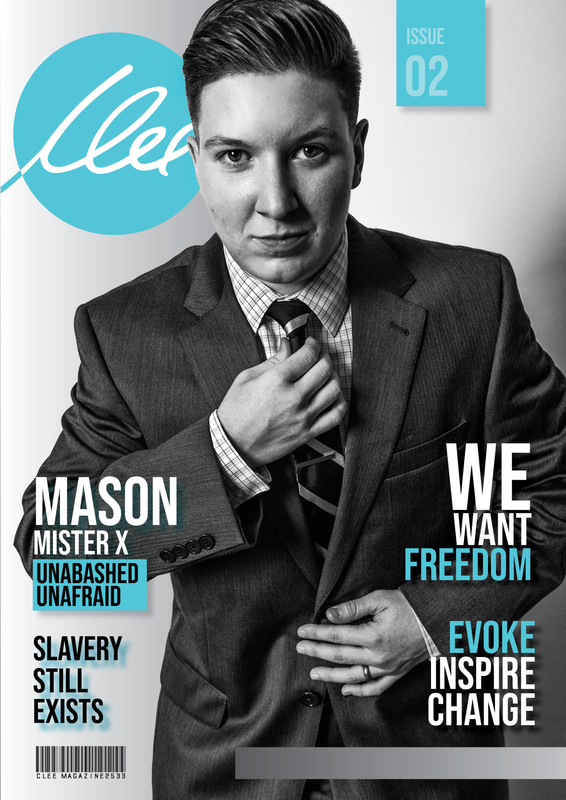 The magazine opens with Shae Invidiata, woman extraordinaire, who founded Free-Them to fight against the modern slavery, that is happening everywhere. You will get a glimpse into the harrowing journey of a human trafficking survivor from her early years, to now becoming speaker, activist and artist. Di-vur'si-te features Mason, being true to himself in the age of Trumpism and the U.S. military. Last issue put the lens on wildlife living free in the game reserves of South Africa, while this issue shows the contrast of animals living in captivity. *When looking through the issue look for the video, audio, fade-ins and the pulsating hearts that reveal stuff you don’t initially see on the pages. Plus, the pages are loaded with both viewable and invisible links (invisible links can be on logos, products or just on the page). Don’t turn the pages too fast or you might miss some cool stuff!